At Big Game Treestands we strive to exceed limitations and raise the bar on expectations through innovation, experience, and commitment. No where is this commitment more evident then in our line of tree stands. Our hang-on tree stands offer unparalleled function and reliability, stands you can count on year after year! 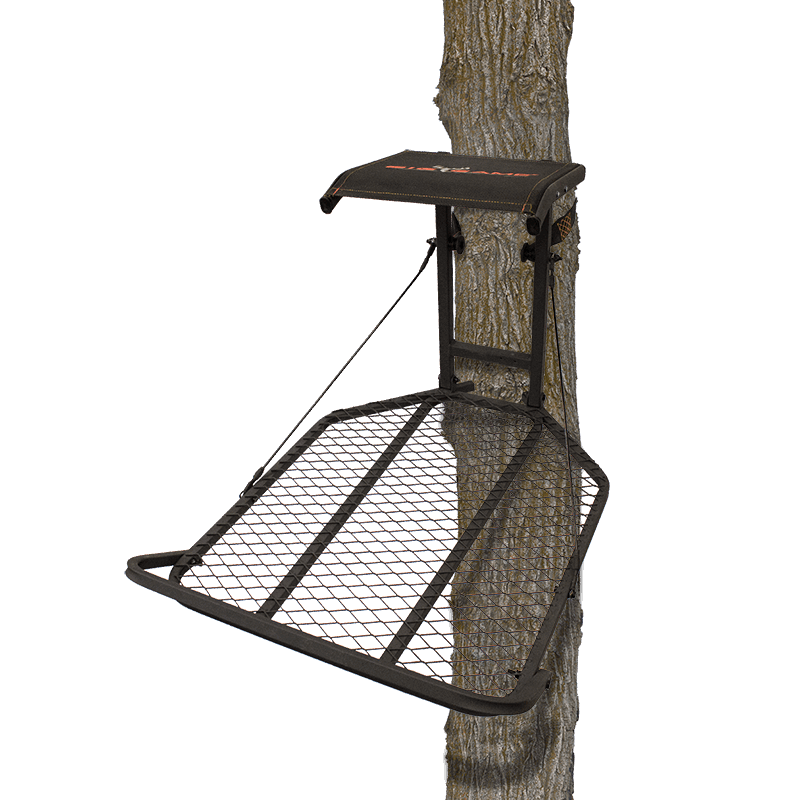 Check out our full line of hang-on and fixed position tree stands below! https://www.biggametreestands.com/wp-content/uploads/2016/10/the-ultimate-essential-gear-and-hunting-accessories_Feature-e1476361811893.jpg 732 1200 Big Game https://www.biggametreestands.com/wp-content/uploads/2018/02/BigGame-Logo-1.png Big Game2016-10-13 12:30:202016-10-13 12:51:14Which Hunting Accessories Do You Really Need? https://www.biggametreestands.com/wp-content/uploads/2016/08/should-you-hang-early-season-tree-stands-over-deer-sign-feature.jpg 775 1200 Big Game https://www.biggametreestands.com/wp-content/uploads/2018/02/BigGame-Logo-1.png Big Game2016-08-30 14:01:252018-06-21 15:37:32Should You Hang Early Season Tree Stands Over Deer Sign?